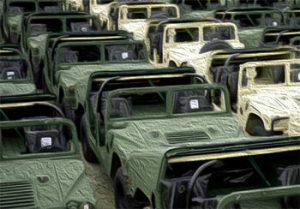 The Army Contracting Command Rock Island (ACC-RI) has released a blank purchase agreement (BPA) which includes Non-Tactical Vehicle (NTV) Leasing and Maintenance Services. The $230 million, five-year Army BPA would run from January 15, 2019 to July 14, 2025 if full exercised. Requirements include the NTV leasing/maintenance services throughout U.S. Central Command (CENTCOM) in Kuwait, Jordan, Qatar, and United Arab Emirates (UAE), but additional locations may be added via on-ramp procedures. The services include all personnel, equipment, tools, materials, supervision, and non-personal services necessary to perform the NTV leasing/maintenance. The winner of the contract provides the required vehicles and performs all scheduled and unscheduled maintenance, as well as vehicle recovery. The incumbent contractors/BPA holders for Jordan, Qatar, and UAE included Al Mutawa and Sahni Tyres and Spare Parts Co W.L.L, Trident Engineering and Procurement, P.C., Al Qabandi United Company, and Class Worldwide General Trading. Incumbents for the Kuwait Army IDIQ are Trident Engineering and Procurement, Al-Baz 2000 Trading & Contracting Company, Al Qabandi United, and Future Services General Trading and Contracting. Incumbents for the U.A.E. BPA are Immpek General Trading, LLC, Bayman General Contracting and Transporting, and Jordan BPA incumbents are Shakhshir Rent a Car, KVG LLC, and Dollar Jordan Rent a Car. To learn more about this BPA if you are an EZGovOpps member, please visit this link, or sign up for a free trial.